Zinc re-branded this leading security software company and built a website to help BeyondTrust deliver unmatched vulnerability and privilege management solutions to enterprise organizations. The site not only helped this B2B technology company position itself as the leader in a niche security market, but also considerably increased demand generation and lead flow for the company. Zinc worked closely with BeyondTrust knowledge experts and product managers to re-engineer the site architecture. The result is an intuitive website that allows customers and prospects to find the products and information they need with just a few clicks. Zinc also worked closely with the marketing department to supercharge the site with tons of calls to action, persuasive headlines, and colorful and dynamic buttons to encourage prospects to download whitepapers and other resources. Stylish “light box” opt-in forms were created to heighten the user experience while converting visitors to leads. Zinc also integrated Eloqua, the company’s marketing automation software, and Salesforce, the company’s CRM tool, SalesForce. By integrating the marketing and sales tools, all forms on the site corresponded with SalesForce campaigns, resulting in an improved user experience, an increase in the number of lead to sale conversions, faster response times from the sales team, and an important system of checks and balances to keep the security leader’s website optimized. 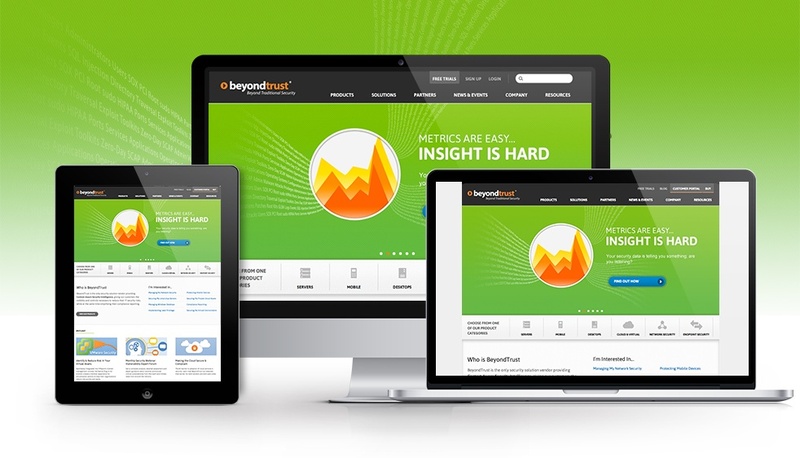 Zinc also developed online and inbound marketing solutions for BeyondTrust. The development of social media assets helped build brand loyalty and engage BeyondTrust customers, partners and employees on a deeper level, as well amplify their message, drive web traffic and increase website conversion. Zinc also implemented content quantity and quality; usability and navigation design; internal, external and social links; on-site user behaviors; and more to boost online ratings and rankings for the BeyondTrust site. Finally, Zinc built a fully functional Content Management System that allows managers to work directly on the site in a straightforward, streamlined way. Using a browser-based editor, the team can easily update content quickly, spending only an hour on what used to take a full day.